At a time when thousands of his counterparts around the country were heading to their respective summer ball teams, Rankin Woley wasn’t. He did not have a plan in place. Woley was originally slated to spend his summer on the Cape playing for the Cotuit Kettleers. He planned to depart for Cotuit once his school, Chattahoochee Valley Community College, was eliminated from the Junior College World Series in Grand Junction, Colorado. But an unexpected call turned Woley’s summer plans sideways. Cotuit notified Woley that they were planning to fill the remaining roster spots with players they didn’t anticipate keeping. There was no longer a place for him on the team. The last-minute switch forced Woley and his family to scramble to find a team for the summer. He sought assistance from Auburn, where he will attend in the fall, to work its contact book and find a potential taker. The Plymouth Pilgrims of the New England Collegiate Baseball League approached Woley and offered him a spot. He was ready to accept. Thirty minutes later, Woley’s phone rang again. It was Chatham Anglers manager Tom Holliday. Weeks later, Woley possesses an important role for the Anglers. He plays multiple infield positions — a part of his game Holliday uses often — and uses his forceful swing to be an impactful bat in the lineup and off the bench. While his playing style is similar to others on the A’s roster, his journey is not. Woley grew a multi-sport athlete in Atlanta, Georgia. He played three sports — football, hockey and baseball — and blazed a path completely unique compared to his parents. Woley’s father, Darrin, was a diver at Arizona State, and “was never that good at baseball”, Woley said. Rather, his grandfather was the one who planted the seeds for Woley’s love of the game. While his grandfather influenced his sporting interests, his uncle, Brian Henry, influenced his rooting ones. An LSU graduate, Henry was a “die hard” fan of the Tigers after graduating, Woley said, something neither of his parents expressed for their alma maters. Henry’s fandom for the Tigers rubbed off on Woley, who became an LSU fan himself. The oldest of four boys, Woley did not follow in anyone’s footsteps. Instead, he taught his younger brothers — Grayson, Turner and Hayes — about the sports he loved. As he grew older, Woley’s ability began to shine through. Woley attended high school at the Westminster School, a private school in Atlanta. Not only was he a baseball standout, but a football star, too. During his senior year, Woley, the team’s quarterback and safety, led the Wildcats to their first state title in 37 years. 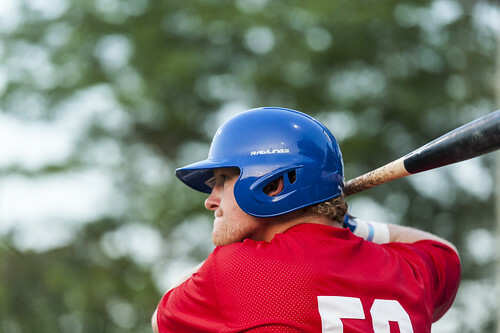 Despite his talents on the gridiron, Woley knew his future was on the baseball diamond. A four-year starter on the varsity baseball team, Woley became the Westminster School’s all-time leader in every offensive category during his tenure. In 2016, he led the team to its first state title in 41 years and was a First-Team All-State selection. When it came time to decide where he wanted to continue his baseball career, Woley had tunnel vision on one school — LSU. He and his parents took visits, met coaches, and pondered several options. In fact, Woley’s mom Rena was interested in Rankin playing at an institution with better academics. Despite the wishes of his mother, Woley stayed true to his childhood team, committing to play college baseball for the LSU Tigers. Woley’s tenure in Baton Rouge was a rollercoaster ride. During the fall of his freshman year, Woley felt discomfort in his arms. He ignored it at first, but the pain continued to grow and he was forced to address it. The continuous batting practice swings, workouts and time on the field became too much for Woley’s body. He had never played baseball year round before — fall was for football, winter was for hockey and spring was for baseball — but now as a Division I athlete, he had to adjust to a more rigorous schedule. Woley underwent surgeries on both arms before entering a four-to-six week rehab process. After seeing a doctor, Woley discovered he was suffering from nerve compression due to his nerves constantly rolling over the bones in his arms. The compression caused inflammation, which led to the “locking up” Woley felt when he swung the bat. Due to the injuries, Woley was not at full health for the upcoming season, his first as a college baseball player. He and Tigers head coach Paul Mainieri decided to limit his action to the designated hitter role for the start of the season while pushing the surgery until after the season. On the field, Woley took advantage of his opportunities by playing well, but he spent much of his freshman campaign spectating from the dugout. Woley made 26 appearances (eight starts), tallied 12 hits — including five extra-base knocks — and five RBI. Six of his starts were at designated hitter and two at first base while he was played all around the infield in the majority of his substitute appearances. The Tigers finished the season 52-20 and earned the one-seed and in Baton Rouge Regional. They advanced out of the Regional before sweeping Mississippi State in the Super Regionals, sending LSU to the College World Series in Omaha. The Tigers made a run all the way to the Finals, where they were swept by Florida, returning to Baton Rouge without hardware. Woley made one pinch-hit appearance in seven games in Omaha. After the season ended and Woley returned home, he finally underwent surgery on both arms. The rehab process wasn’t bad, Woley said, as each arm took two to three weeks to fully recover. Woley said testing their mobility and getting them moving was the most important recovery step. Woley returned to Baton Rouge for the fall of his sophomore year, but he wouldn’t stay for long. Unhappy with his lack of playing time and desire to find a better fit, Woley and his family opted to find a junior college where he could thrive. After finishing exams for his first semester classes, Woley packed his bags and returned to Atlanta, marking the end of his career as an LSU student and player. The biggest factor in finding a new school was proximity to home, Woley said, and Chattahoochee Valley was a familiar option. The junior college in Phenix City, Alabama is just an hour and a half drive from Woley’s house in Atlanta. Growing up, Woley knew “Chatt Valley” as a baseball hub because he saw players from the Atlanta area who weren’t Division I quality go play for the Pirates. Woley went into the spring of his sophomore year with one objective — to hone his skills — and junior college baseball helps a player in ways Division I ball can’t, Woley said. Woley’s 93 hits and 93 RBI on the year were both Chatt Valley records, with the former breaking former Pirates star Will Campbell’s previous record by 10 hits. The right-handed hitter’s 27 doubles also tied the all-time school record. The Atlanta native posted a .460 batting average, the seventh highest mark in the National Junior College Athletic Association. The clip is the second-highest batting average any Chatt Valley player has ever recorded in a season. Woley led the Pirates to 48 wins, the second-highest win total Chatt Valley has ever recorded in the 43-year history of its baseball program. More importantly for Woley, he remained durable throughout the season and played all 60 games. Woley spearheaded Chatt Valley all the way to the Alabama Community College Conference title game against Wallace-Hanceville. He went 1-for-4 with an RBI sacrifice fly, and the Pirates were crowned champions with a 10-5 victory. The conference championship sent Chatt Valley 1,693 miles northwest to Grand Junction for the Junior College World Series. After recording just one at-bat in the College World Series in Omaha a year prior, Woley was poised to be instrumental in the Pirates’ quest for another title. But it never came. Twelve days removed from its ACCC championship win, Chatt Valley suffered consecutive losses to Iowa Western and Temple (Texas) to send them back to Phenix City. The loss devastated Woley. His tenure at Chatt Valley was up. He always intended on transferring to a Division I school for his junior year, and in March 2018, he had committed to Auburn. As Woley propelled Chatt Valley to one of its best seasons in school history, he and his family searched for a new program on the side. “[Auburn] reached out first and made a big-time offer to say ‘We want you over here,’” Woley said. Just 35 minutes away from Phenix City, Woley would travel to Auburn “a lot” during his sophomore year to visit friends from home and teams he played for throughout the years. The more he visited, the more he longed to play there, and once he met the coaches and toured the facilities, he knew it was a perfect fit. On March 18, Woley and his parents were seated in the office of Auburn head coach Butch Thompson. Auburn had already made its offer, and it was up to Woley to make his decision. “My mom gave me this little ‘Okay’ and said if I wanted to commit that day I could,” Woley said. Woley will join fellow Anglers player Davis Daniel at Auburn next season. The Woley’s and Thompson spent little time going back-and-forth. “I cut Coach Thompson off and said, ‘I'm ready,’” Woley said. The finalization of the commitment meant Woley was back where he wanted to be — at a Division I school close to home. After a freshman campaign full of frustration, Woley believes his skills were refined and confidence was regained during his semester at Chatt Valley. Woley will not only be joining fellow Chatham player Davis Daniel (Auburn) on the field, but in the dorm, too. The two are set to room with fellow Tigers teammates Conor Davis and Elliot Anderson. Davis, a native of Roswell, Georgia and graduate of Blessed Trinity Catholic High School, was the losing quarterback in the 2015 GHSA state title game to the Westminster School Wildcats — the team Woley quarterbacked to victory. Woley and Davis played on the same summer baseball team growing up too. 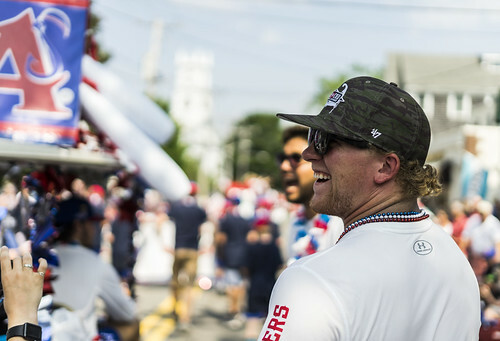 As Woley wraps up his summer and the Cape and narrows his focus on the upcoming school year, he reflected on the adversity he overcame — injuries, low morale, transferring — to get where he is today. He credits his prospering to his can-do attitude. If baseball doesn’t work out, Woley wants to become an orthopedic surgeon, he said. As he underwent treatment for his arm injuries, he was fascinated with learning exactly what was wrong with his body and how to fix it. His interest also stems from growing up around his father’s friends, several of who were doctors. Woley has watched “a lot” of surgeries and enjoys figuring out how the body works based on how it is reconstructed. 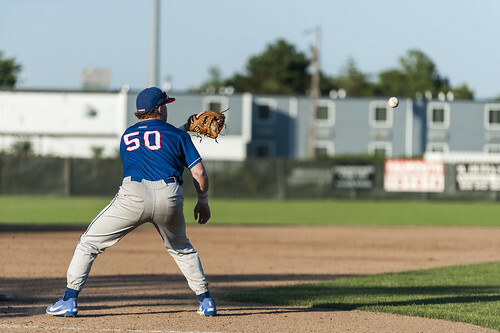 Between two arm injuries that jeopardized his first shot at Division I baseball and getting denied a spot on a Cape League team, Woley has had plenty of reasons to be frustrated with the game and ponder his future in the sport. Rather, he stayed patient, listened to the people around him and worked hard to best set him up for an opportunity.